For years scientists have been trying to work out how to deal with the threat of an asteroid, which could hit us with little or no warning. Those asteroids which have an orbit that brings them near or sometimes into the Earth’s orbit called NEOs. A 56 foot meteor that struck Chelyabinsk, Russia, in 2013, injured more than 1,000 people came with no warning, belongs to the same category. Just last night a 26ft wide asteroid came closer to Earth and is almost equal to the size of a bus. 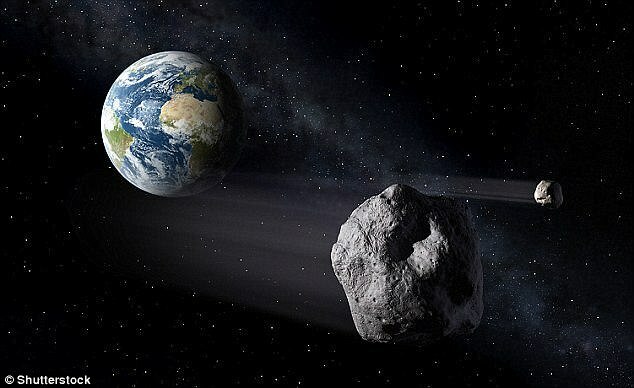 According to scientists the asteroid posed no threats to our planet because it passed within 202,000 miles of our planet. 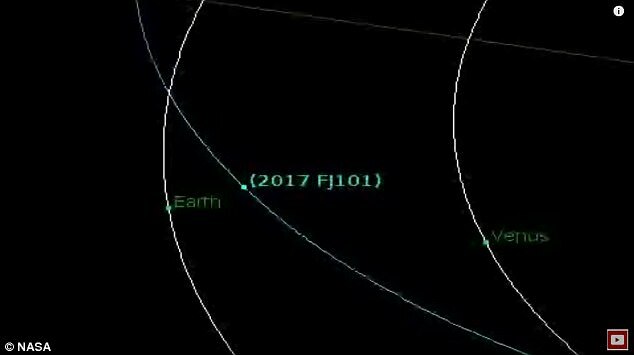 This asteroid is named as 2017 FJ101. The asteroid, was first spotted by the Pan-STARRS 1 telescope located on the summit of the Haleakalā volcano on Maui, Hawaii on March 25. On average, the moon orbits around 238,855 miles away from our planet. But the bus-sized object came around 36,8555 miles closer to the Earth than the moon. To handle the threats of asteroid hitting us without giving any warning, the White House has released an official document describing the plan if a meteor or asteroid was to head our way, and it shows we are under-prepared. The country also plans to improve its emergency alert systems and invest in hi-tech space probes that could overcome threats. In seven main goals described in the document, the White House focuses on improving modelling and predicting where NEOs will travel. Dr Joseph Nuth, a researcher at NASA’s Goddard Space Flight Centre in Maryland was speaking at the annual meeting of the American Geophysical Union in December. Dr Nuth warned that it is very rare that a dangerous comet hits the Earth, but the threat is always there. Currently NASA is working on an asteroid redirect mission that will see a robotic spaceship visit an asteroid to create an orbiting base for astronauts. A scientist’s team is also assigned to watch the skies for potential threats.